We know every child is a special gift, and our goal is to nurture the unique spirit of each child while providing the best early education in a loving, safe environment where children can learn, grow and explore to enable them to reach their full potential. Our passion and talent for teaching comes from a personal desire within each one of us to share in the moment by moment growth of every child. To create for them an environment that encourages their inner strengths, their love of self, a passion to learn, an ability to be heard and understood, and a constant reward of being independent and empowered. 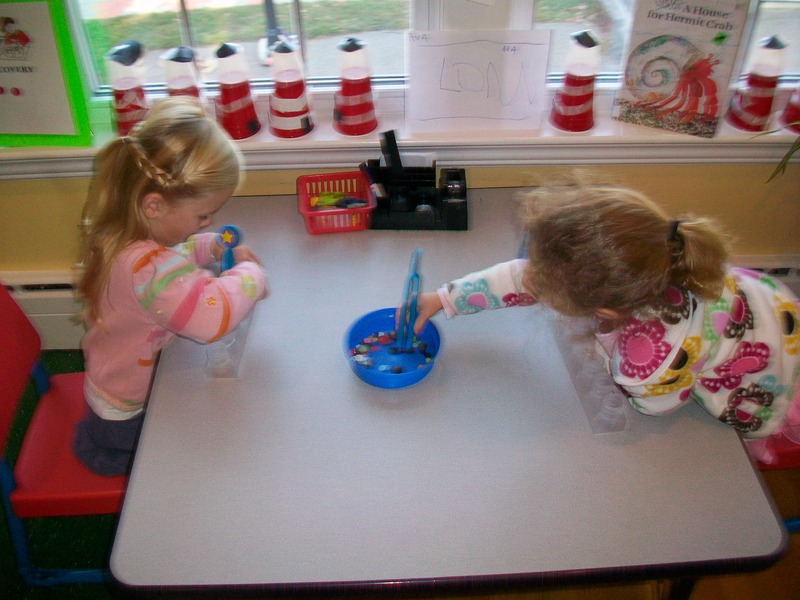 We use lots of ways to promote fine motor skills and help children build those small muscles in their fingers and hands. Opportunities include cutting w/scissors, squeezing, manipulating, pinching, and rolling play dough, weaving, lacing, sewing, peeling and sticking stickers, scooping, pouring and mixing. Once their fine motor skills develop, we begin teaching handwriting using 'Handwriting Without Tears' curriculum. 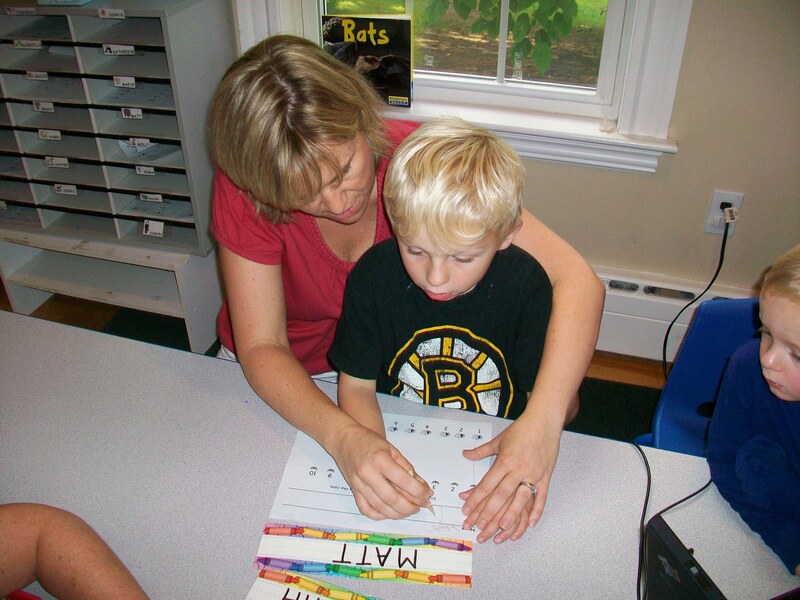 This handwriting program uses straight and curved wooden sticks for a visual and tactile experience to build letters. Included in this program is a workbook that introduces and strengthens both numerical and alphabetical writing. Promoting mathematical thinking and basic math concepts can come through all kinds of simple hands-on activities. Some of these are cooking, patterning, exploring shapes, counting, math games, estimating, comparing and contrasting and sorting. Building a child’s vocabulary is essential for a child to achieve development in language and literacy. Words are an important part of a child’s life and are abundant everywhere in the classroom. They are visible within the classroom for children to view, learn their meaning and make a connection to the object. We encourage children to use words to describe their emotions, identify and describe objects and to build conversations with others. Teachers model vocabulary to children all day long. Reading stories: We believe reading aloud helps children to make connections between the printed words and the pictures of the story. Learning to recognize and write their name: The most meaningful word to a child is their own name. Children’s names are displayed in a variety of ways throughout the classroom for children to learn and to use to guide them as they learn to write. 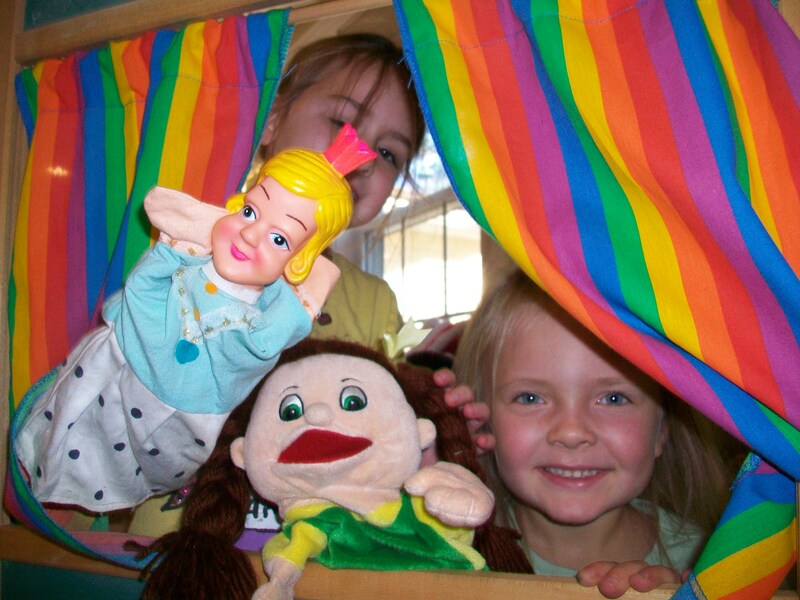 Creating stories: Children have opportunities to create their own stories by writing, drawing, and through the use of puppets. In the classroom is about exploring, discovering and nurturing young minds to be curious about the world around them. We teach science by starting with a question. -"What do you think is inside?" Questions can lead to activities that encourage children to explore, discover, and draw conclusions. -"Where did the snowman go?" Science activities help children increase their descriptive vocabulary. They use words like fast, slow, heavy, light, rough, smooth, hot, cold, sink, and float. 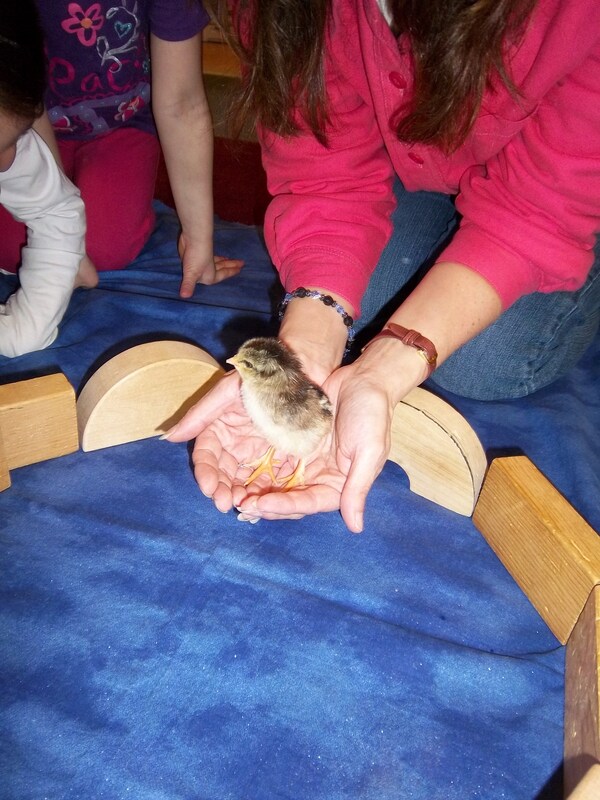 They hold, touch, move, open and use all their senses to explore the materials and gain a better understanding of their world. Taking the outside - inside! We bring nature into the classroom to explore. Anything from plants, flowers, mud, sand, rocks, shells, seeds, leaves, snow, ice, and more. Once inside, the children weigh, sort, count, manipulate and mix items. Information can be graphed or charted to look at and share. Our fenced in outdoor space includes a variety of learning and play spaces to run, climbing structures, a bike path, flower garden, playhouses, a gathering place, outdoor art area, dramatic play opportunities, a building area, and a messy spot and a quiet reading spot.